Help create a native plant map for Riley Park Community Garden! Riley Park Community Garden is home to a wide variety of native flora. 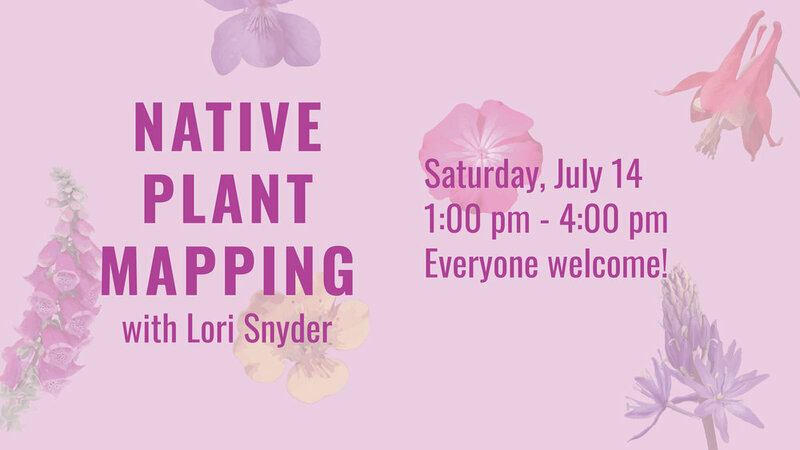 Led by Indigenous Herbalist and Educator, Lori Snyder, participants will illustrate the garden’s plant life and share their drawings to create a native plant map. All ages and levels of drawing ability are welcome to attend. Lori Snyder is an Indigenous Herbalist and Educator with a deep knowledge of medicinal and edible plants that grow in the most common and everyday spaces. Through Lori’s eyes, our immediate surroundings take on a new life and offer a wealth of untapped nutritional resources. In a time when our connection to the land on which we live grows ever more tenuous, Lori offers us an opportunity to reconnect and leads us to tap into the wisdom of ancestral relations who, for thousands of years, were nourished by this land and cared deeply for its fate.